The Cypress Copperstone mine on the California-Arizona border uses XR-5 geomembranes. 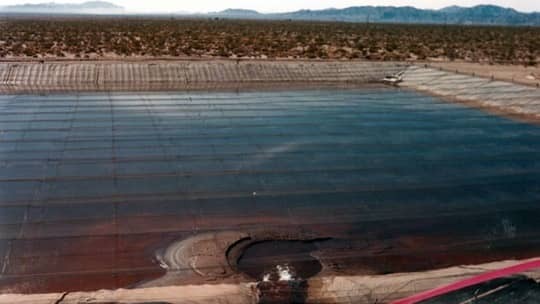 This photograph shows a double lined XR-5 pregnant solution pond. The leak detection layer accumulates as little as 1 liter/day leakage from the 70,000 square foot primary liner. Note the liner is exposed on the side slopes in the high UV, high thermal swing installation.